Hannah Marie Dance Academy was founded by Hannah Marie started dancing at the age of 9 taking exams and performing in shows. From the age of 13 she started assisting in the baby and primary classes, then at the age of 17 was given her own classes to take on a weekly basis at her dance school. Following her training Hannah-Marie became qualified to teach Acro Dance with the Acrobatic Arts Syllabus, whilst regularly attending training days at top dance schools, such as the Royal Ballet School & training alongside teachers from around the world. 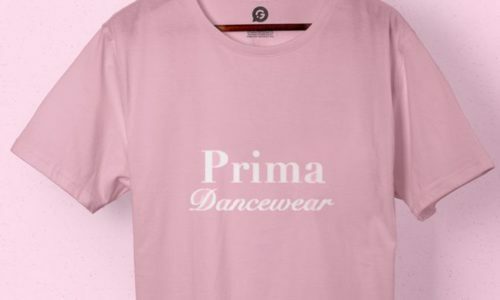 Hannah contacted us with a need for T-Shirts to sell her clients at her dance school. We decided to go down the route of screen printed T-Shirts as this was the most cost-effective option for her order. She originally wanted the label taking out of the back of the neck, and replacing with her own label, as she wanted the T-Shirts to have her own branding. After discussing this with Hannah, an expert from our sales team explained that rather than relabelling, it would look neater to carefully cut out all the labels, and replace the Gildan label with a custom print designed by Garment Printing, utilising our Graphic Design service, the label includes all the care instructions, and the size of the garment. The client agreed this was the way forward. 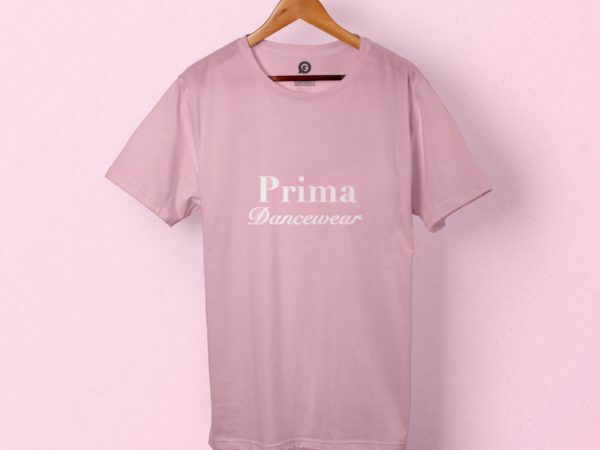 The client originally was looking for Fruit Of The Loom garments, and again took the advice of a member of our sales team and moved to Gildan, as there is very little difference in price, but the garment is a much better quality. Hannah was very happy with the product and this is seen by this becoming a regular order from the client with us!